The beautiful landscapes of Mid Wales, criss-crossed by mountain passes and dotted with characterful old towns, makes the perfect camping destination. Sparkling rivers, great lakes, craggy mountains and the dazzling Cambrian coast make a the backdrop to some of Wales’ best campsites. Whatever your taste there will be a campsite or glamping hideaway to suit and we’ve got all the best sites covered. Browse our hand picked selection below and book your break online today. Discover the best campsites in Ceredigion with Cool Camping’s expertly chosen collection, including seaside campsites, dog-friendly campsites, tent-only campsites and campsites where campervans are welcome too. Every location is handpicked by the authors behind Cool Camping’s award-winning guidebooks and can be booked instantly online at the very best price. Looking for good Ceredigion campsites? You’ve come to the right place! 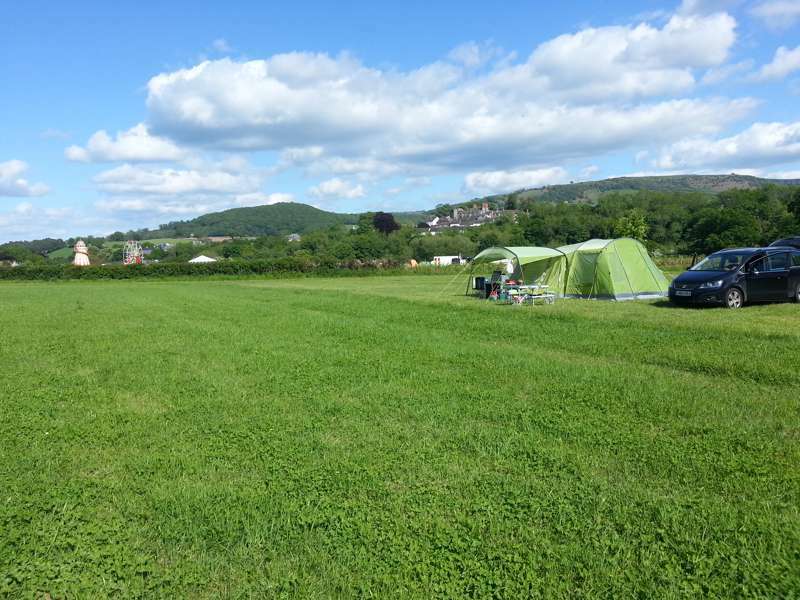 From hillside campsites to woodland retreats, discover the best Powys campsites here and book online at the best price. With every campsite chosen by the expert Cool Camping team, your guaranteed to find a very special place for your next adventure, including tent-only campsites, luxury campsites, dog-friendly campsites and much, much more. Dramatic mountains, lush green valleys, enchanting rivers and mighty lakes – Mid Wales is infused with the kind of mystical natural wonder one mind expect to find in a Tolkein tale. As with most geographic regions, it’s boundaries are not set in stone, however the general consensus has it stretching Brecon Beacons in the south to the lower fringes of the Snowdonia National Park in the north, while east to west, Mid Wales spans the Welsh Border right through to the far coast of Cardigan Bay. It is Wales' largest region, hosting its largest county in Powys and encompassing two of its national parks. As one can imagine then, Mid Wales is prime camping country with everything from hidden hillside retreats to spacious meadow clearings available to pitch up your tent. With some of the UK’s best campsites to be found here, choosing your perfect Mid Wales campsite can be a daunting task – which is where Cool Camping comes in. Our curated collection of campsites in Mid Wales have been hand-picked by our camping-crazy team of experts. Having sourced the UK’s best camping spots for over a decade, we think we know what sets a decent campsite apart from a truly cool campsite. 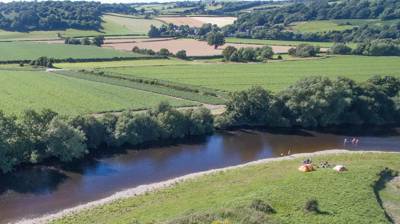 Breathtaking views; helpful hosts; quirky accommodation; or a beach within reach – you’ll find all these and more in our collection of the best campsites in Mid Wales. 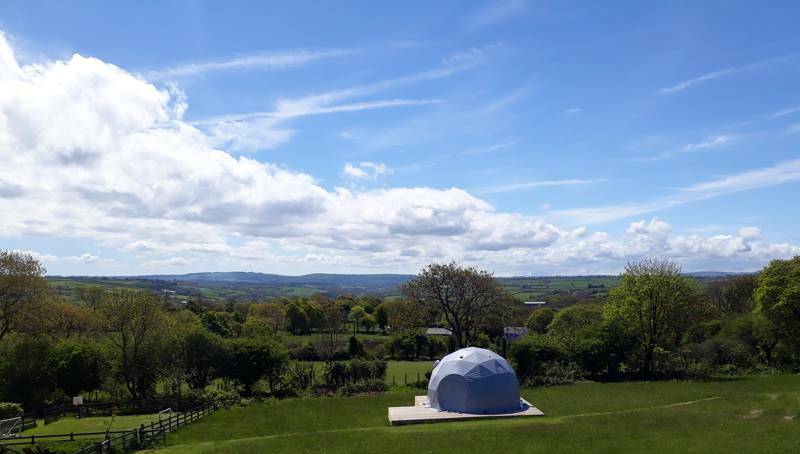 Besides some incredible places to pitch your own tent or rock up in your campervan, we also showcase the finest glamping sites in Mid Wales. So whether you’re looking for luxury or just a humble plot to plonk your tent, you’ll find the destination of your dreams in our guide to the best campsites in Mid Wales. Mid Wales is a mecca for campers and outdoor adventurists, drawn to its staggering natural beauty that boasts the best of sea, mountains and woodland. Thankfully the camping facilities are more than up to scratch. For pitch-up purists who believe in old-school tent camping, Mid Wales is a delight, not least because the huge commercial holiday parks (modelled on US-style trailer parks) are less ubiquitous than in other parts of Wales – although heading towards the coast will present more options for caravans and motorhomes. Besides being suited to rallies and tourers, these more developed enterprises also tend to feature static homes (sometimes called mobile homes) as well as chalets, fully-equipped with proper beds, cooking facilities and proper flush toilets. The swankiest may feature an onsite bar or restaurant, games rooms, kid's club, disco and even a swimming pool. But for those of us who prefer canvas to caravans, there are plenty of traditional, independent tent camping spots in Mid Wales. These classic campsites in Mid Wales are as diverse as the landscape, with a range of facilities and setups. Where to pitch is a key consideration for any camper and while many of the more established players offer set pitches to accommodate tents of different dimensions, most small-scale campsites (particularly campsites on farms) allow campers to pitch wherever they like. As for facilities, these can range from the bourgeois to the basic, with compost toilets and eco showers common. 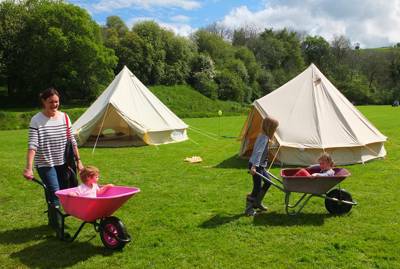 Many sites also offer some form of communal hub where campers can cook, play games and socialise. Most importantly, the majority of campsites in Mid Wales permit campfires – a crucial component for any campsite joining the coveted Cool Camping collection. If you’re still looking for a campsite that fits your wish-list, use the use the “Refine Search” feature to customise your search and filter by a range of these must-haves for your perfect camping getaway. While classic camping will always be the backbone of our collection, glamping continues to grow in popularity every season. The UK can lay claim to some of the world’s first proper glamping sites, with scores of pioneering proprietors offering luxury accommodation in amazing settings before the term was even coined. 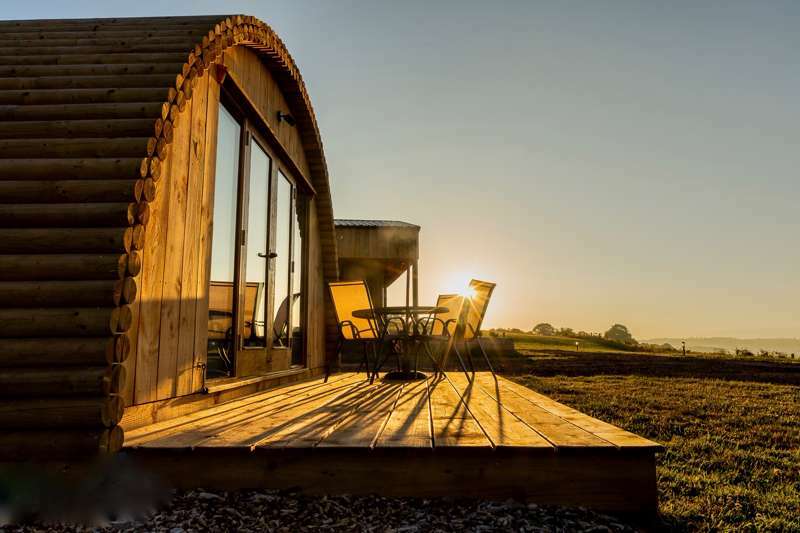 As glamping has become a firm fixture of the UK holiday landscape, there is now a whole range of weird and wonderful glamping accommodation on offer, from UFOs and double decker buses, to converted horsesboxes and even glamping galleon ships. 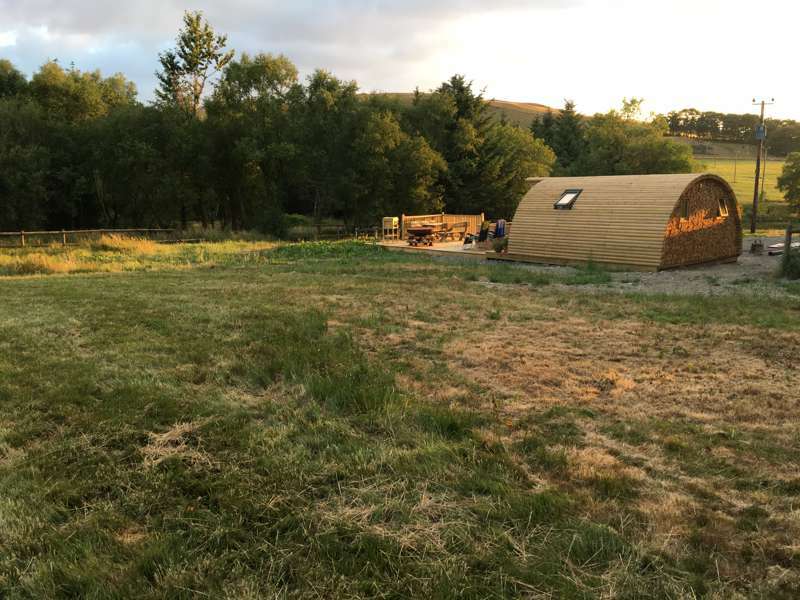 The trend continues unabated with new glampsites springing up across the British Isles all the time, and glamping in Mid Wales is no exception. This vast region boasts luxury in abundance for those who prefer an altogether more sumptuous sojourn. While camping purists might scoff at the thought of not pitching their own tent, four dependable walls and a sturdy roof means the reliably unreliable British weather need not be a concern. Pods, shepherds huts and treehouses are the cosiest of abodes for an autumn or winter getaway, while airstreams, retro caravans and gypsy wagons are similarly suited to whatever the elements can muster. It isn’t just pampered camping novices who are eschewing camping for glamping. With its miles of scenic routes to stroll and mountains to scale, Mid Wales is a magnet for walkers. For anyone with notions of taking on the Black Mountains or the undulating slopes of the Wye Valley, travelling light is essential. Without cumbersome camping gear to lug and tents to disentangle, a readymade bell tent, yurt or safari tent is ideal for ramblers. Proper beds, bedding and cooking utensils are usually included, while luxury extras like hampers filled with local produce can also be arranged. And if there’s a better way to soak away the sores of an epic walk than sipping champagne in your own private hot tub, we’re yet to hear of it. 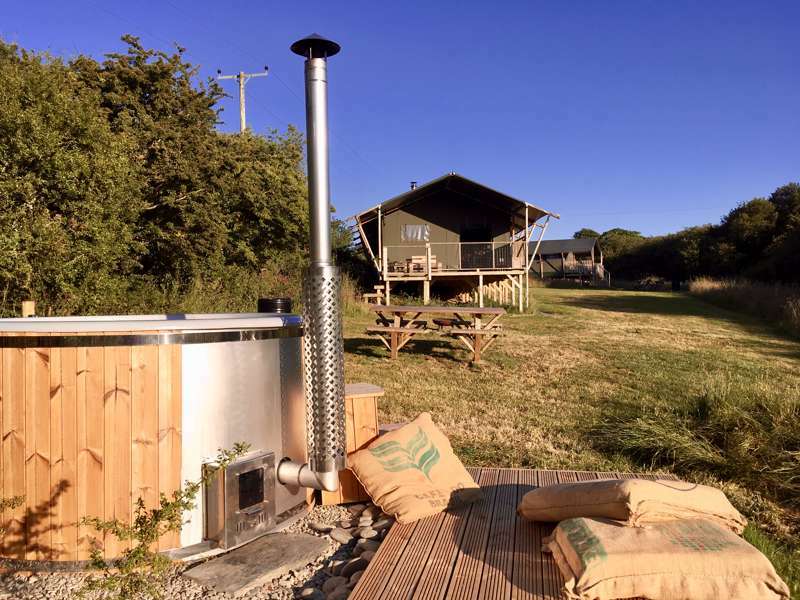 So whether you’re looking for a romantic retreat in Radnorshire, a luxury lodge near Llandysul, or a cabin on Cardigan Bay, we’re confident you’ll find some of the best glampsites in Mid Wales in our guide. Camping in Ceredigion, the country’s far west county, offers visitors a quintessential experience of countryside living in Wales’ agricultural heartland. This sparsely populated region hosts some of the most iconic natural wonders of Mid Wales, including the Cambrian Mountains – sometimes referred to as the ‘Green Desert of Wales’ – where the source of Wales’ two biggest rivers, the Severn and the Wye, can also be found. The Ceredigion coast is one that can rival any of the world’s most exotic seascapes for sheer jaw-dropping beauty. 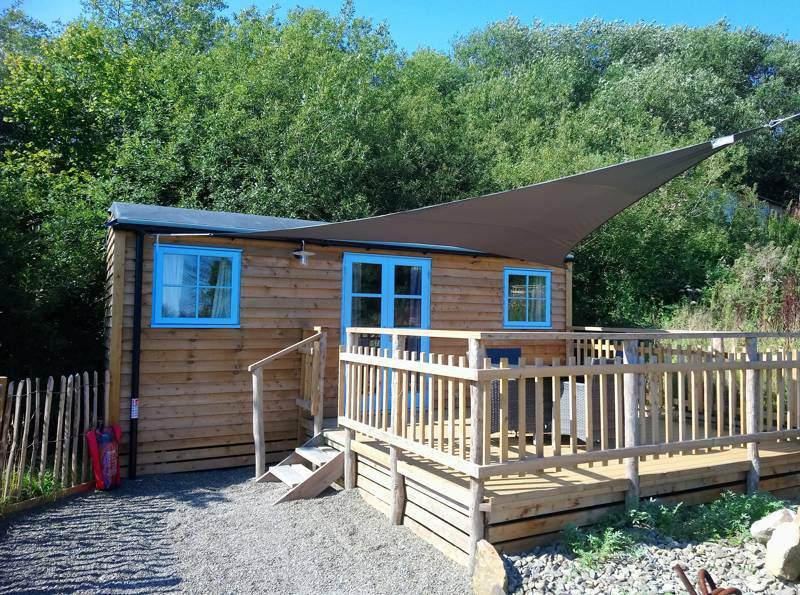 Stretching from the Dyfi estuary in the north to the Teifi estuary further down towards Pembrokeshire, this vibrant coastline overlooks the wildlife rich waters of Cardigan Bay, home to dolphins, whales, sharks and a myriad of seabirds. 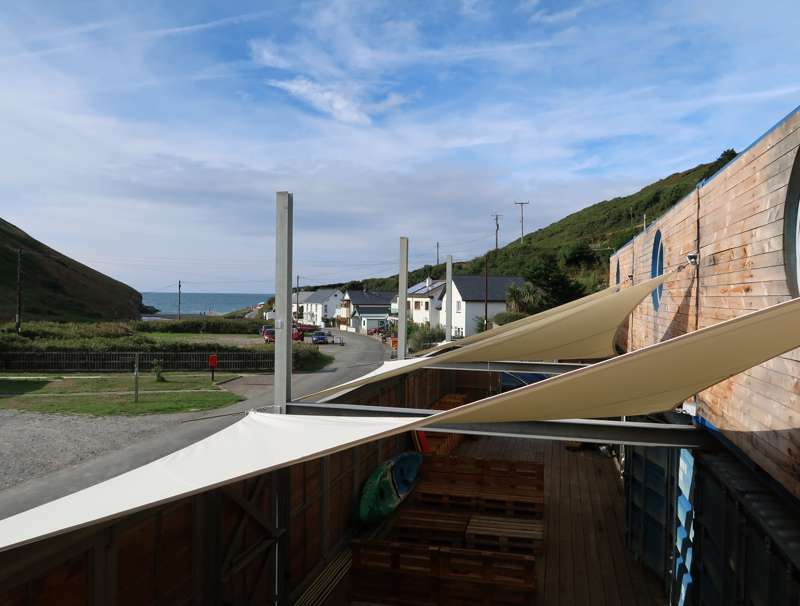 Peppered by pretty harbour towns like Aberaeron, New Quay and bohemian seaside student settlement Aberyswyth, Ceredigion can also lay claim to some of the best beaches in Wales, most notably Gwbert, Llangranog, Mwnt and Tresaith. Away from the campsite, there are attractions aplenty – try cycling the wild Elan Valley, feasting at the Cardigan Bay Seafood Festival or taking the charming Vale of Rheidol Railway to Devil’s Bridge. 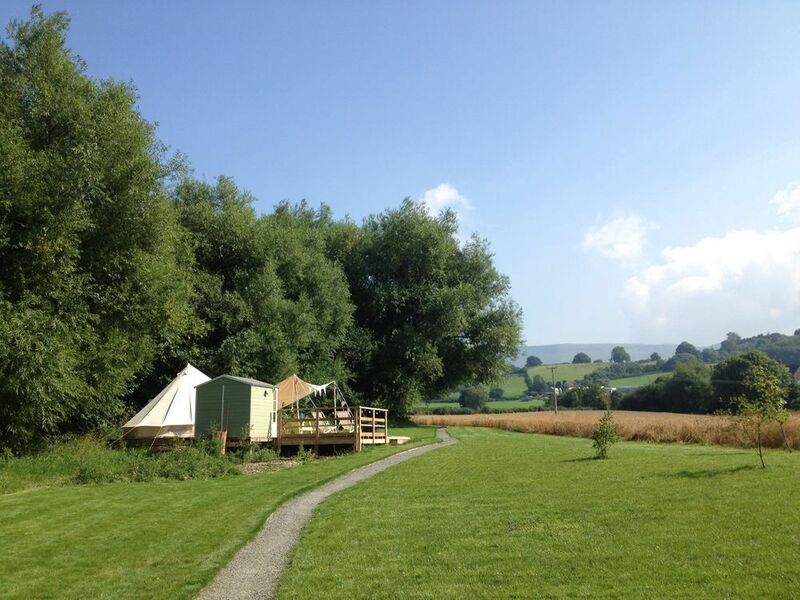 Mid Wales camping, powys, glamping at Campsites in Mid Wales, Camping in Mid Wales? Cool Camping’s got eco-retreats, woodland campsites, glamping spots and campsites where you can park up you campervan - to name but a few. Read on and book online at the best price.